Seven’s Racing.com channel, which partners with Racing Victoria, will officially launch on Saturday hosted by Bruce McAvaney. The 78 channel which replaced Fresh Ideas branded content channel, will broadcast race meetings from across Victoria 363 days a year. Racing.com will also feature three magazine programs as part of its initial content offering. 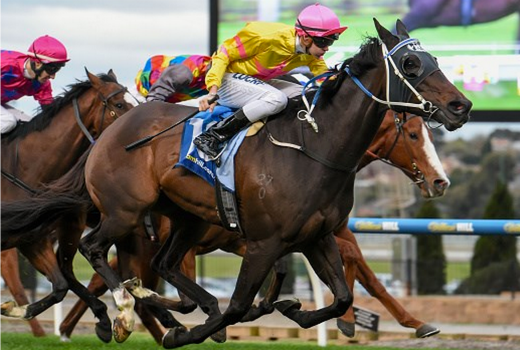 Launching in early September will be the Thursday night preview show Get On and Sunday morning review show Correct Weight, plus The Carnival, looking at Victoria’s Spring Carnival. Channel presenters will include Jason Richardson, Shane Anderson, David Gately, Warren Huntly, Campbell Brown and Clint Hutchison. The first official day of Racing.com will be this Saturday with coverage of the Group 1 Memsie Stakes Day from Caulfield. AFAIK our digital TV transmission system uses MPEG2 for the video streams and MPEG or AAC for the audio streams. This applies to all channels including datacasting. The MP4 compression system is usually found in AVI files where a smaller file size is important. Two things… Don’t be a whinger and don’t but cheap TV sets. my TV is older than that and can receive it fine.